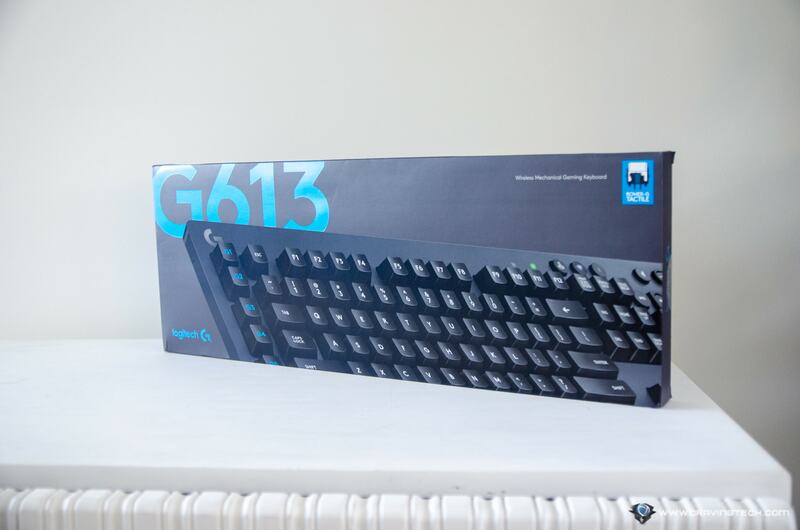 Logitech G613 Review - Finally, a Wireless Mechanical Gaming Keyboard! 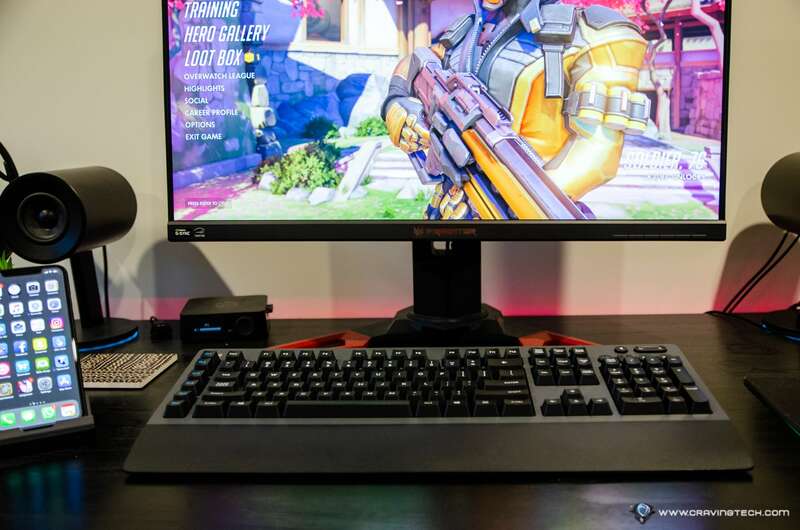 Logitech G613 Review – I longed for a day when someone would have made a wireless, mechanical gaming keyboard. Back then, maybe nobody dared to claim one due to technology limitations but hey, come on. Well, that wish has now come true. 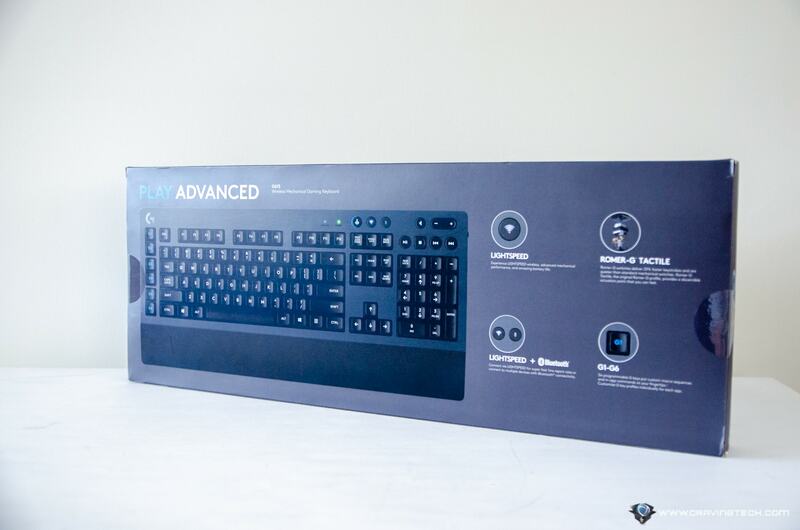 Logitech G613 Wireless Mechanical Gaming Keyboard is the next generation gaming keyboard to gamers who want the performance of a mechanical keyboard, but with the freedom of wireless gaming. And I’m loving it. The packaging comes with a smartphone stand which I’m sure loved by many who made the purchase. 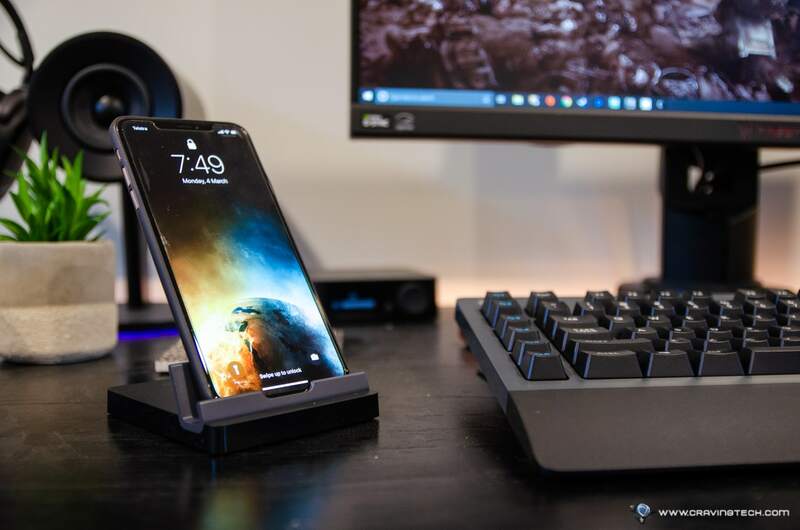 While gaming, I usually place my phone on the stand so I can see or check for chat notifications while I game. When competitive gamers hear “wireless”, it’s normally associated with lag and non-responsiveness when gaming. 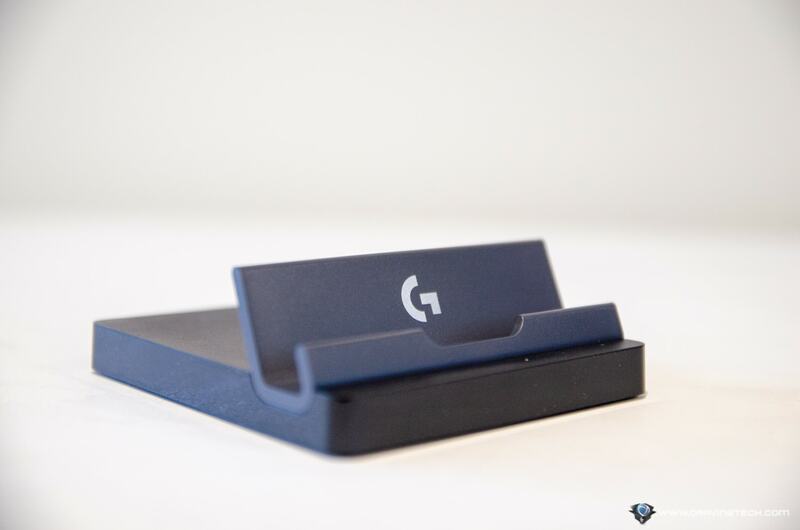 Thanks to LIGHTSPEED technology, Logitech G promise a 1ms wireless response time with the G613, the same response time you’ll get with a wired keyboard. Combined it with the Logitech G Pro Wireless Gaming mouse and you’ll have yourselves a solid, wireless set-up. Feel free to check that my gaming performance in Overwatch was not affected by any lag in my Logitech G Pro review article. 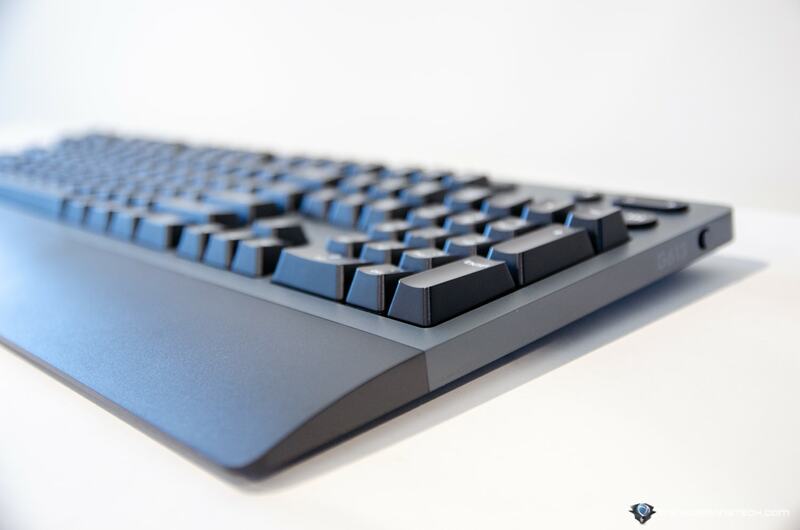 The Logitech G613 does not use the standard Cherry MX switches, but with Logitech’s own Romer-G Tactile switches. They are pretty quiet (similar to Cherry MX Brown or Red switches) with around 70 million clicks lifespan. Romer-G Tactile switches have a shorter actuation point of 1.5mm, compared to 2mm on the Cherry MX Brown switches, for example. 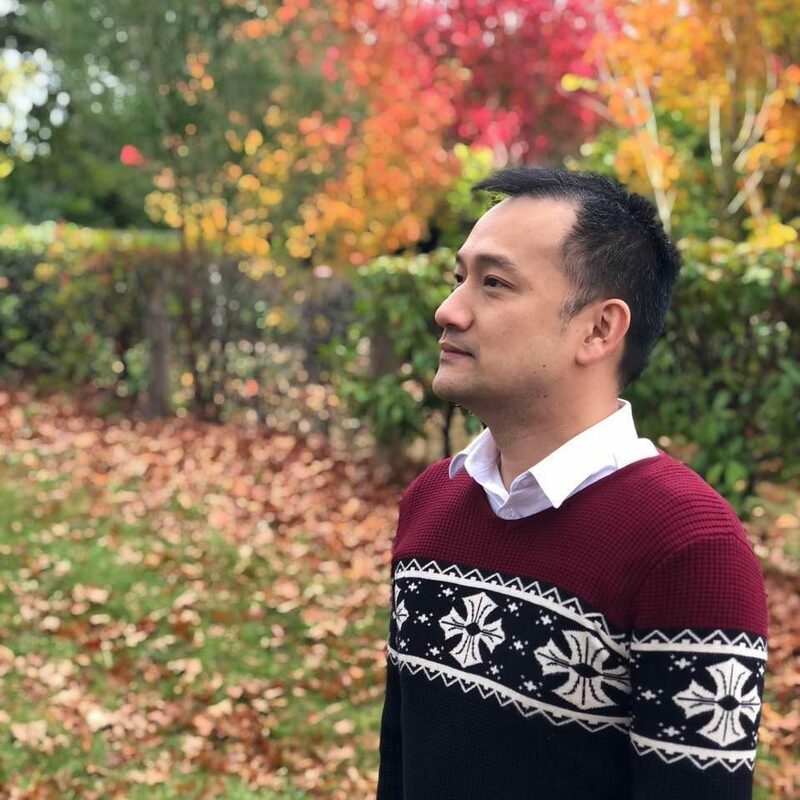 Competitively, this means you will execute skills faster than your enemies but of course, this can be debatable as how microseconds difference matter in a game. But if you are playing competitively, every advantage counts. I like the keys’ tactile feedback and the overall keyboard layout. I did need a bit of time to adjust the placement of the Esc key (as it’s on the most top left of my old gaming keyboard but now replaced by the G613 macro keys). 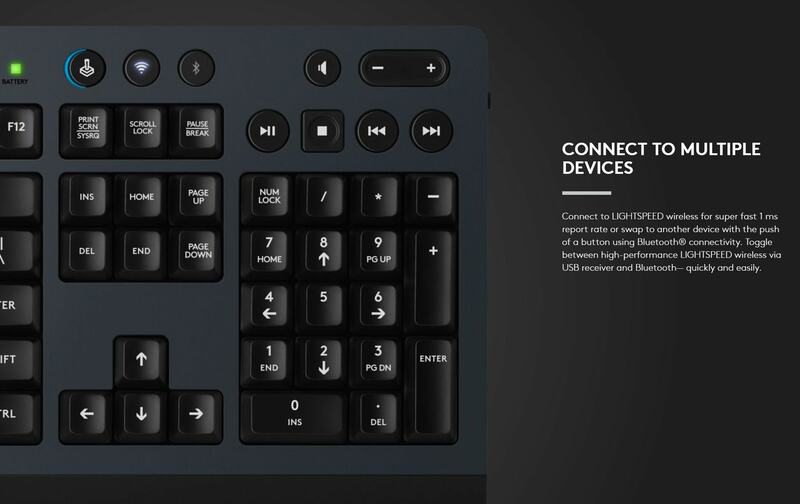 These G-keys are also programmable for macros and actions through the Logitech software. To my surprise, the keyboard also offers Bluetooth functionality where you can connect another device like your tablet or smartphone. With a button press, you can switch between your PC/laptop and phone – perfect for multi-taskers or those who just don’t like typing on a phone. This is also the reason why a phone stand is included in the packaging. I like how the G613 has its own dedicated media control keys, which is far easier to access compared to using a Function key. 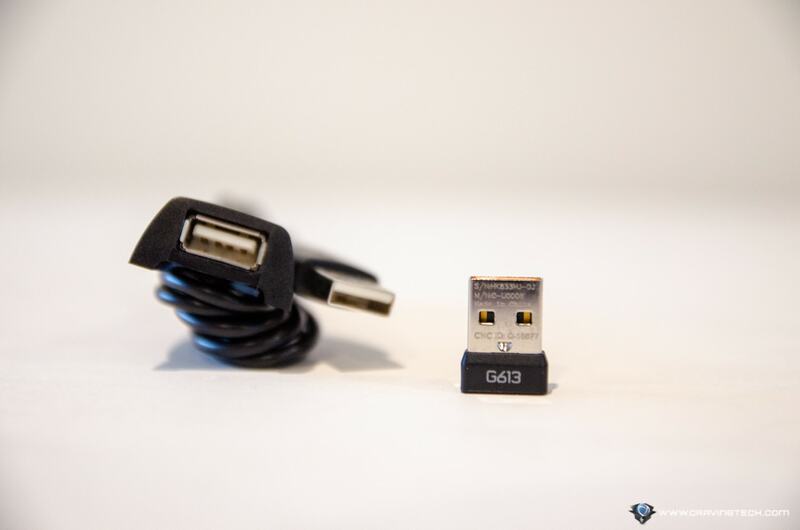 With wireless peripherals, come the time where the fun ends, i.e when battery goes flat. Logitech G613 actually has an amazing battery life for a wireless gaming keyboard: around 18 months. It’s only powered by 2x AA batteries and can be replaced easily (the LED status will notify you when the battery is at 15% or lower, giving you ample of time to swap batteries). To save battery life however, it does not come with keys backlighting and other goodies worthy to be called a “gaming keyboard”. But if I have to pick the option of having backlights or longer battery life, I’ll pick the later. 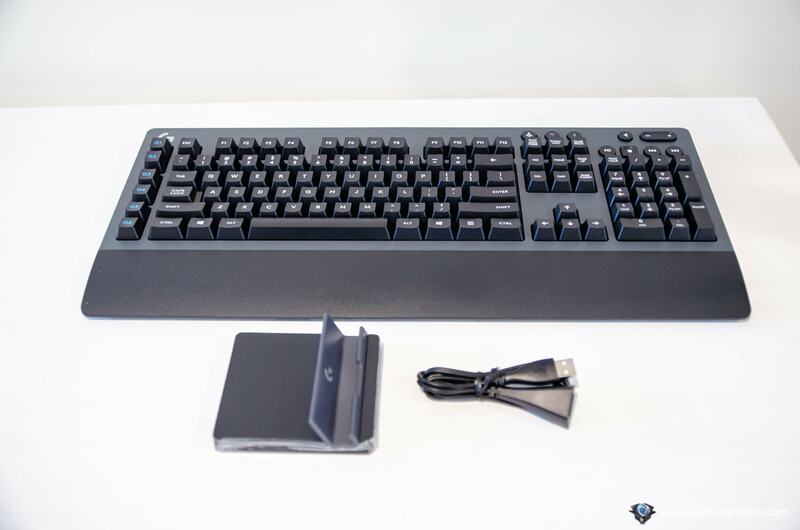 Logitech G613 Wireless Mechanical Gaming Keyboard does not come with backlighting, detachable wrist rest, USB pass-through, and other goodies that normally come with a “gaming” keyboard. However! 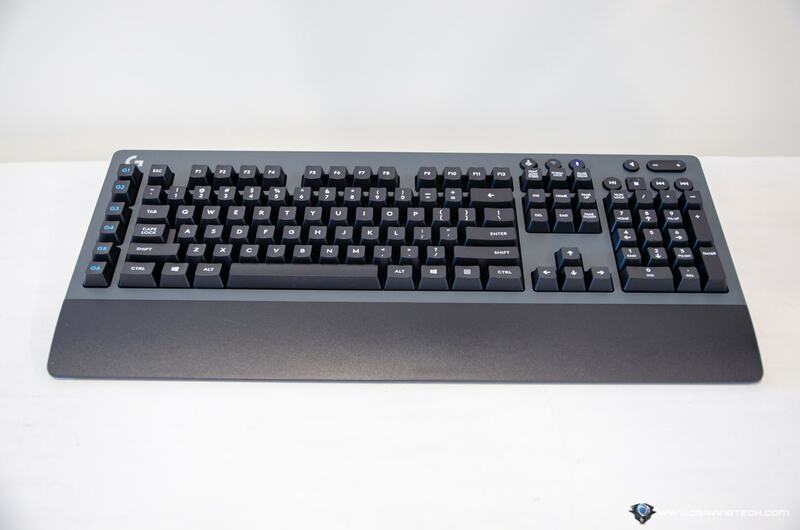 The Logitech G613 is a solid, durable build with fast & responsive Romer-G Tactile switches, along with 1ms wireless response time (which is the same as a wired keyboard’s response time). 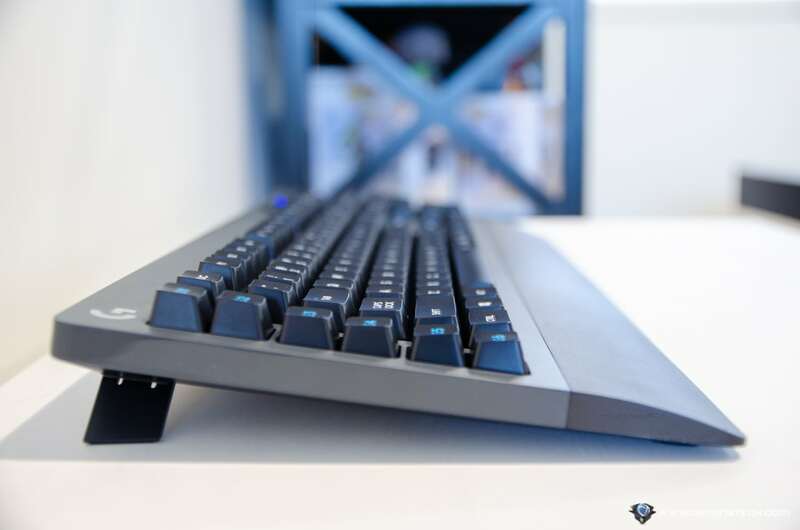 Combined with long-lasting battery life, Logitech G613 is your go-to keyboard if you ever want a trusted keyboard for gaming with freedom to go wireless. Next articleDyson’s first smart vacuum cleaner?